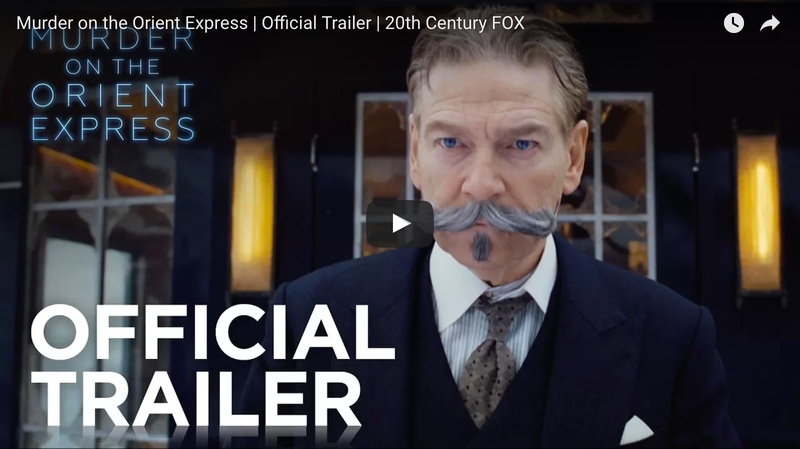 20th Century Fox has released the first trailer for MURDER ON THE ORIENT EXPRESS. From the novel by best-selling author Agatha Christie, “Murder on the Orient Express” tells the tale of thirteen strangers stranded on a train, where everyone’s a suspect. Kenneth Branagh directs and leads an all-star cast including Penélope Cruz, Willem Dafoe, Judi Dench, Johnny Depp, Michelle Pfeiffer, Daisy Ridley and Josh Gad. Clues are everywhere. Everyone is a suspect. Find the clues hidden in the new poster and trailer and visit CluesAreEverywhere.com to discover more of the mystery. Be sure to follow the mystery in the months to come!